Pavel Itsykson, Ph.D. Reproductive Embryologist of the month (May 2013). Dr. Itsykson is a Director of Embryology Facility in IVF Unit at Assuta Rishon Medical Center in Israel. Dr. Itsykson earned B.Sc. in Biology in 1997 and M.Sc. in Life Sciences in 1999 from Bar-Ilan University, Ramat Gan, Israel. He conducted research under guidance of Professor Benjamin Bartoov and focused on the influence and prevention of oxidative stress in ram spermatozoa. Simultaneously, Dr. Itsykson participated in the first Israeli bi-annual education program in Clinical Embryology. 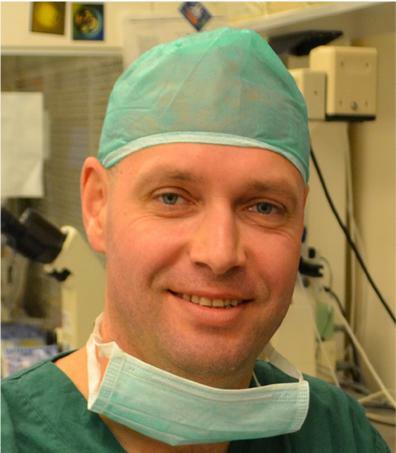 He started his career as a trainee Embryologist in 1999 at Barzilai Hospital in Ashkelon. In 2008 he became Lab Director of IVF Unit, Assuta Medical Center, Rishon Le-Zion. He earned PhD in 2010 from Hebrew University of Jerusalem at the laboratory of Professor Benjamin Reubinoff. His research focused on controlled neural differentiation of human embryonic stem cells. The Assuta Medical Center in Rishon Le-Zionin developed rapidly to the second largest IVF clinic in Israel employing 15 Embryologists and performing about 4000 fresh and 1200 frozen cycles a year. This IVF unit was the first in Israel to achieve pregnancy from virtified-warmed human oocytes in 2010. Dr. Itsykson is continuously making efforts to advance the profession of Reproductive Embryology. In 2010 he was elected as Secretary of Israeli Fertility Association. He has published his work in renounced scientific journals.